Who were the Victorian Era Chimney sweepers? Why were they needed? How was their life? The Victorian era had features utterly different from any other era. Chimney sweepers were extremely common during this period. Chimney sweeper is a poor man who cleans chimneys to make a living. Generally, sweepers were children, mainly boys and not adults. Who were Victorian Chimney Sweepers? The only material available for heating in the early 1900s was the coal fires. Those were fired for every day of the winter. When the soot blocked the chimneys, dirty black smoke would come into the room. So it was necessary to have the chimney swept once or twice a year. Usually, people would get a chimney sweeper to come as early in the day as possible, preferably before breakfast. Main reason for this was, post the sweeping, lot of clearing and cleaning up of the house was needed. Above picture shows a wide brush which is more likely to be for chimneys built during or before the Victorian era. In later days, new houses built had narrower chimneys, which needed smaller brushes to sweep. The wooden bamboo-like sticks later gave way to bendable plastic rods. The day before the sweep was due to come, my mother would take all the china off the dresser. Then everything that was not in everyday use would be taken down, including the curtains and the pictures. All the movable furniture was put into another room or covered with dust sheets. Finally everything that could be washed was washed, ready to be put back when the room had been cleaned up after the sweep had gone. Chimney sweeper is a poor man who cleans chimneys to make a living. Generally, sweepers were children, mainly boys and not adults. Chimney sweeper is a poor man who cleans chimneys to make a living. Generally, sweepers were children, mainly boys and not adults. 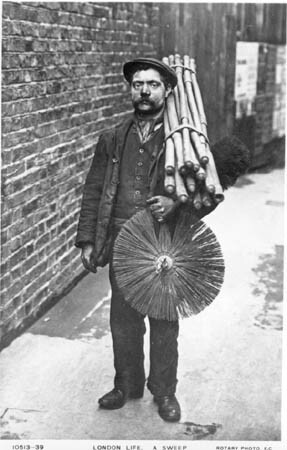 Chimney sweeps are also featured in Victorian literature. Chimney sweeper was considered a good luck omen for the bride on her wedding day. The Victorian society was not a classless society, nor was it free from evils like child labour. Children from the richer families led a comfortable life whereas Children from poor families were made to work from a very early age. They worked for long hours without air or water and that too in dangerous conditions. Children could do Chimney sweeping better than adults because they were so small that they could enter the chimney to clean it up. When they grew bigger in size, there were lesser opportunities for them to work as chimney sweepers. The chimneys were often angular and narrow and the usual dimension of the flue was 9 inches by 14 inches. 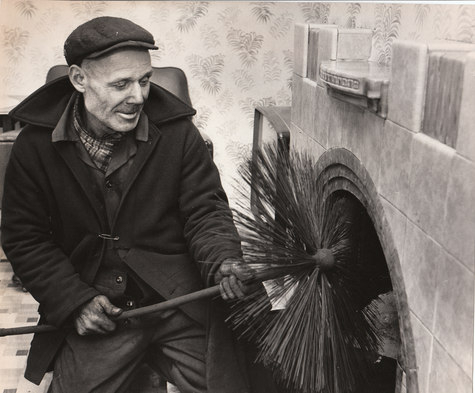 Chimney sweeping was not only a harmful act but also a dangerous and horrible work. Some people got stuck inside the chimneys. 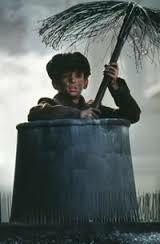 A boy engaged in chimney sweeping first passes through the chimney and descends to the second angle of the workplace. Then he finds it filled with soot, which he has dislodged from the sides of the upright part. Sometimes breathing problem occurs to the boys due to lack of air. Sometimes dead bodies of boys are extracted from the chimneys. The homeowners of Victorian homes used chimney sweeps to go up the chimneys to clean the soot. The children cleaned chimneys with their hands or with their scrapers. the Act for the Better Regulation of Chimney Sweepers and their Apprentices was passed in 1788 to enable a better life for chimney sweepers. But unfortunately, it was not enforced. Only in 1840, an act was passed forbidding anyone under the age of 21 from working as chimney sweeps. It was called the Chimney Sweepers and Chimneys Regulation Act 1840. However, the act did not have a substantial effect because it imposed only a small fine on the defaulters. 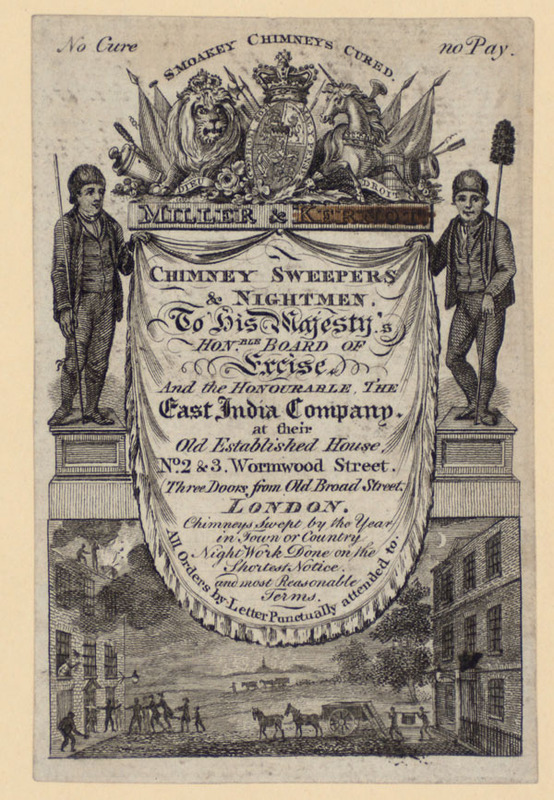 Later in 1864, Chimney Sweepers Regulation Act was passed by Lord Shaftesbury. This new act imposed a 10 fine on the defaulters. This act had a great impact in preventing the vice of chimney sweeps. 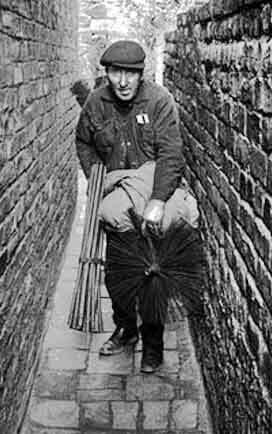 Ultimately in 1875, the British parliament passed an act which said that all chimney sweeps had to be licensed and licenses were only issued to sweeps not using climbing boys. As time passed, the use of chimneys and chimney sweeps declined. Modern heating systems replaced the old chimneys and modern professions replaced the chimney sweepers.